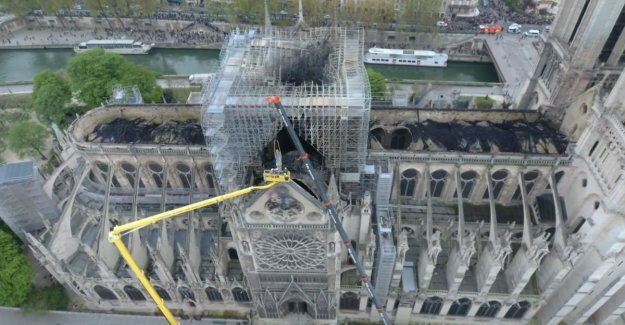 On dronebeelden is for the first time to see how heavy the roof of the Notre-Dame cathedral in the heart of Paris, is damaged. After the fire of last Monday, in which the entire roof and the iconic spire collapsed, the cathedral burnt black behind. The reconstruction of the Notre-Dame will not be easy, but he should “not more than five years”. That said the French president Emmanuel Macron yesterday during a press conference. For the reconstruction was already about 800 million euros donated.